Mr. Jost is an international entrepreneur and expert in the solar market, market economy, and corporate business. As a former investment banker, Mr. Jost successfully founded and managed more than 10 companies, with cumulative profits greater than $100 million. Dr. Maragliano is an electrical engineer with over 10 years of experience in the field of solar energy. Expert of photovoltaic technologies, Carlo has successfully transferred different solar technologies from the lab to the market. Dr. Maragliano holds a Ph.D. in Engineering from Masdar Institute. Mr. Duncan is an international entrepreneur with over 20 years of experience in manufacturing and finance. Dana has pioneered solar energy projects in Germany, Mexico, and USA. Mr. Duncan holds a Masters in International Management (MIM) and an MBA from Thunderbird. Mr. Barthen is a Marketing and Sales expert. In his job as consultant, Frank develops innovative sales and marketing strategies for companies all around the world. Mr. Barthen is also managing director of Narciss and Taurus, a German marketing agency. Mrs. Omar is a material engineer and expert on data analysis. Previously involved in the oil industry, Yamila is a Ph.D. candidate at the University of Luxembourg. Mrs. Omar holds a Masters in materials for renewable energy from Masdar Institute. Synth is one of the top blockchain programmers on the planet and Bitcoin early developer. Inventor of the SunCoin Blockchain technology, Synth is an internationally recognized leader in the research and development of blockchain solutions for the energy and telecommunication industry. Ms. Sepúlveda is a talented designer with a strong drive towards sustainable development. Suheidy holds a bachelor in architecture, with a minor in sustainable technologies, and a master in graphic design. Ms. Sepúlveda also coordinates Solar Bankers’ partnerships in Puerto Rico. Mr. Agarwal is a brilliant developer with over 3 years of experience in the field of blockchain and cryptocurrency. Monark holds a bachelor in computer science from GLA University, with a minor in sustainable technologies. Mr. Agarwal is responsible for php, net and node js scripts development. Ms. Ukhova is a Marketing Manager with 3 years of experience in Branding and PR Marketing. Having accomplished multiple internships in international companies in Europe and Middle East, Nelly has become fluent in 6 languages and developed a strong skill set in communication and human behaviour. Solar Bankers’ Holographic Module, also referred to as Deflecting Photovoltaic (DPV), is a solar panel designed for high temperature environments that enables higher performance at a lower cost when compared with standard solar modules. 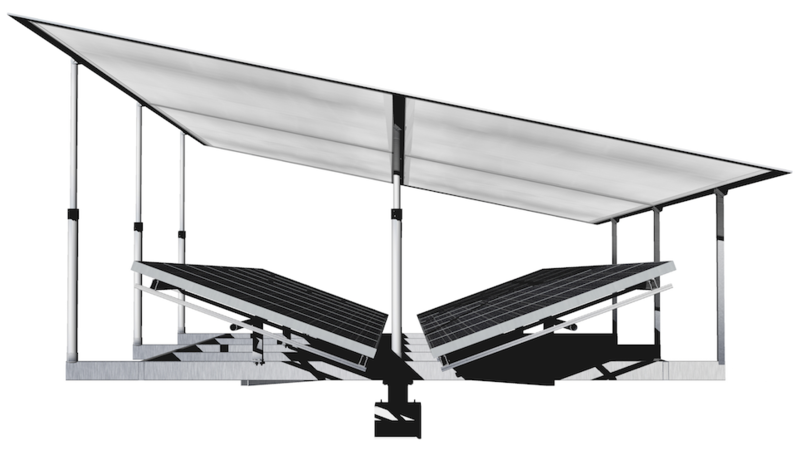 Solar Bankers’ Concentrator is intended for use in combination with standard modules to improve their efficiency and achieve greater energy output. 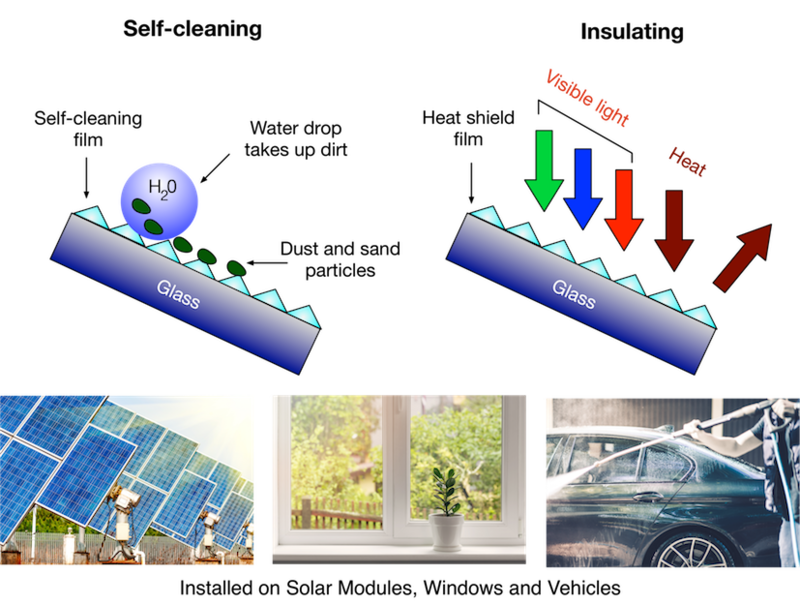 The Concentrating Film, referred to by the name ‘Umbrella’, applies the efficiency-maximising technology used in the Holographic Solar Module to existing installations. Solar Bankers’ Self-Cleaning and Insulating Film is a fully transparent nano-structured coating that reflects the heat contained in the incoming light and keeps surfaces clean. The film is made of two layers stacked upon each other: the bottom is an optical filter, which reflects the heat-carrying portion of the light, while the top is a highly hydrophobic surface, which substantially reduces water and dust accumulation. Solar Bankers Tile is a building component that generates electricity out of sunlight. Similar to our solar module, it consists of a 3-cm thick aluminum box that integrates Solar Bankers’ holographic film and silicon stripes. The tile is mounted on rotating tubes, which follow the apparent motion of the sun to generate electricity throughout the whole day. Solar Bankers tiles can be installed both in vertical and horizontal configurations. 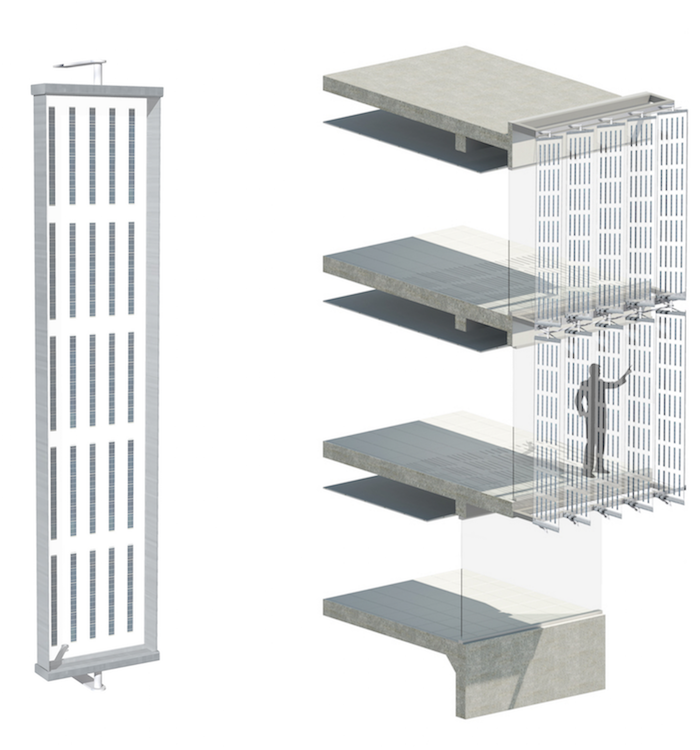 Solar Bankers’ Window is a fully transparent window that generates electricity out of sunlight. Solar Bankers’ nano-structured film covers the surface of the window, re-directing a part of the incoming light onto solar cells integrated in the window’s frame for electricity production. Solar Bankers’ Light Recycling Module recycles artificial light and converts it back into electricity, enabling savings of up to 15% on your electricity bill. 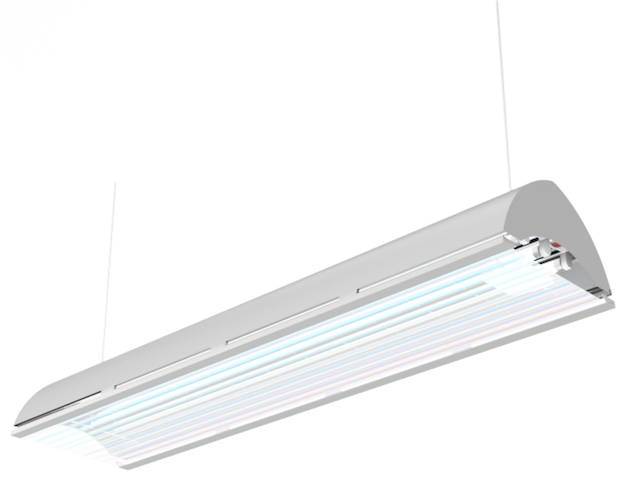 The device uses Solar Bankers’ holographic film to redirect a part of the light emitted by fluorescent lamps back onto solar cell mounted under the light source to generate additional electricity. What makes Solar Bankers coin different from other tokens? What does Solar Bankers coin offer that other tokens do not? – trade Solar Bankers coin for CO2 Emission Certificates. These services are in turn facilitated by a solid and mature company, which is backed by a set of strong soft assets – in the form of a game-changing international patent – and a host of ongoing partnerships and projects, cutting-edge product development, and market expertise. In the future the value of the company will also be backed by hard assets – in the form of manufacturing facilities and the decentralized electricity network run by Solar Bankers. Lastly, the Solar Bankers coin, as a cryptocurrency in its own right, represents a far more efficient and secure alternative to existing digital currencies because it is based on a new generation of blockchain technology that involves a revolutionary consensus algorithm, ultra-fast transactions with no fees, and a multi-layered security structure. Does the Solar Bankers coin represent a security? Solar Bankers coin is not an investment-grade security of any kind. The Solar Bankers coin is a digital token for participation in a global network of free energy production and exchange and does not confer ownership of a stake in the business. Solar Bankers does not guarantee any profit, but offers instead a set of entrepreneurial opportunities to Solar Bankers coin holders to make money from the Sun. How are you going to use the funds raised through the ICO? Solar Bankers will use the funds to develop the system infrastructure for the SunChain community (smart meters and micro-grids). What do you mean that I can exchange my Solar Bankers coins for Energy-Generating Equipment? Solar Bankers offers a set of devices that you can install in your house, business facility or land to produce electricity and profit from it. Our customers can exchange their Solar Bankers coins for Solar Panels, Solar Windows, Solar Tiles and many other products at a fixed rate. This option will be available only after the successful conclusion of our fundraising campaign and our production facility is in full operation. What is the relationship between the Arizona-based Solar Bankers LLC and Solar Bankers Singapore? Our business activities recently migrated from Arizona to Singapore. Although the Arizona-based Solar Bankers LLC still exists as a legal entity, our main business activities, including our technology and patents, have moved to a Singaporean company called Solar Bankers Singapore. Solar Bankers Singapore is being run by the same team as its Arizonan predecessor and is working on the same projects and pursuing the same goals. Our activities have become increasingly oriented towards China and we hope that this move will allow us to better serve the Chinese and broader Asian markets. All of the patents for energy-generating technology marketed under either Solar Bankers Singapore or Solar Bankers LLC (Arizona) are the sole legal property of Alfred Jost, the CEO and Founder of both companies.